On this, what was one of the great feast days of the ancient Irish and today is the greatest scare fest of the western world we have a scary shot from the Clonbrock Collection. The actual title in the catalogue is "Swiss 94 B.Oberland. 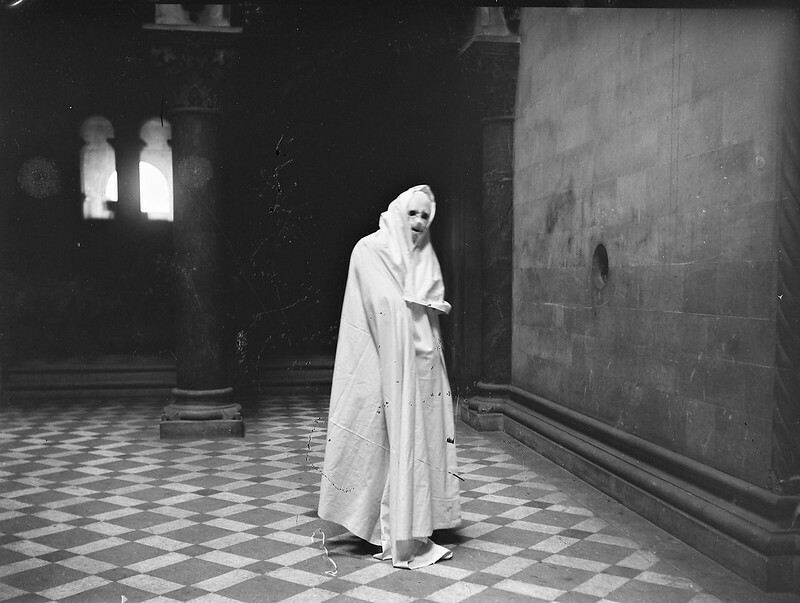 Man shrouded in a cloak standing on a tiled floor" which is not nearly as scary as the image itself. So, on this Halloween, from ghosties and ghoulies and long legged beasties and things that go BUMP in the night, dear Lord deliver us! Image published by National Library of Ireland on The Commons on 2018-10-31 08:16:44 and used under Creative Commons license.